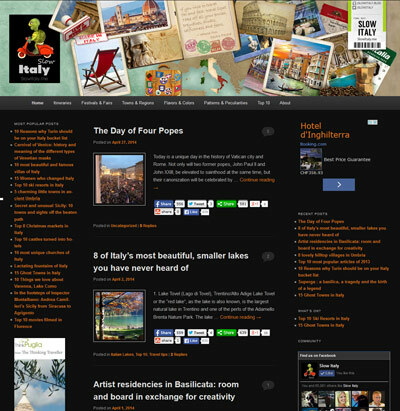 YourGuidetoItaly.com was started in 2005 as an informational website about Italy aimed at travelers to and expatriates living in Italy, as well as Italophiles all over the world. - Slow Italy: a slow traveler's guide to Italy and the Italian way of life. A website designed to help visitors who want to discover Italy traveling slow and really savoring the places they visit, beyond the obvious and the clichés. 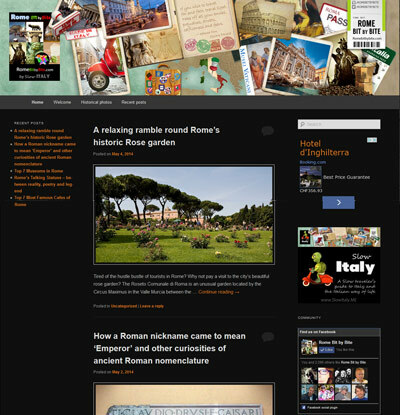 - Rome Bit by Bite: similar to Slow Italy but focusing on Rome, Vatican City and the Lazio region. 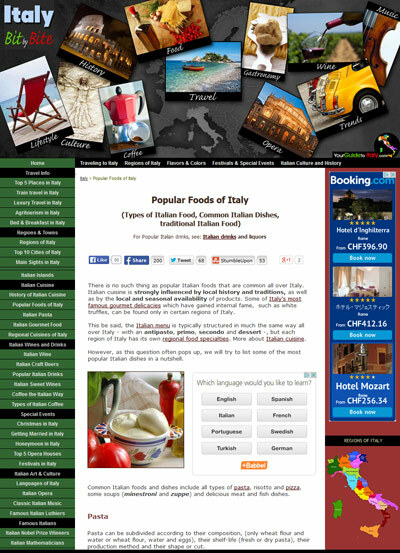 - Italy Bit by Bite: the original legacy site www.YourGuidetoItaly.com has been revamped into Italy Bit by Bite and contains some the most popular key articles about Italy and Italian food. YourGuidetoItaly.com 2005-2014 © All Rights Reserved.